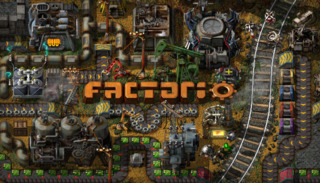 Find more information about Factorio on Giant Bomb. Things you didn't think you needed but now can't live without. This might be the one time the theme tune from Frozen might be acceptable. I'd like to tell you exactly what Zac has been up to but... I forget. Sea block... hundreds of hours and still not done. The hassle of other people as seen through Zac's eyes. Updates and mods and I've pretty much run out of ways to describe Zac's ongoing coverage. There's an update, but Zac's still figuring our his sea blocks or something. Apply Minecraft mods to all the games! No more messin', Zac heads to Death World. Zac plugs his video series on v0.15 and how he makes them. When will it end? When it releases I guess. How is this still a thing? Oh right, Zac. Zac is still going for those production achievements. Just tell robots to do things for you. Social engineering to achieve better engineering. Does Early Access mena you can demand more content or is it about making the core game better? Or both? Zac makes things more complicated for himself via mods. Can factories defend themselves? Zac attempts to design one that can. Just how much game is there?